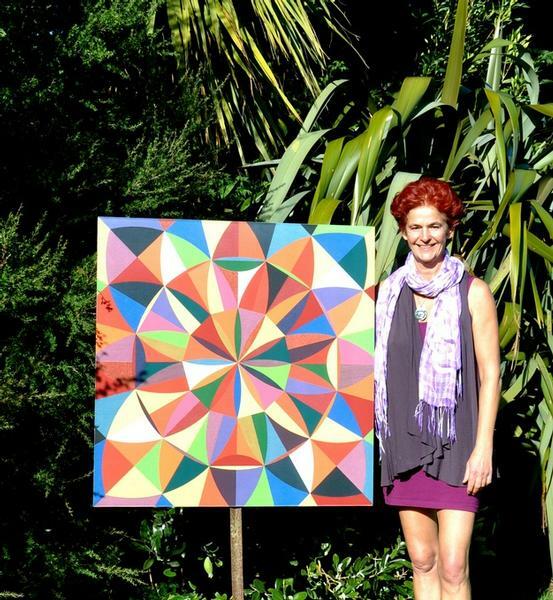 A Kaikoura woman is possibly the first artist in New Zealand to have her paintings digitised and printed onto white and stainless steel, using cutting edge technology. Ruth Stirnimann has begun producing outdoor works with her paintings burnt into steel so they can withstand being weather outdoors for years. ``I believe I am one of the first artists in New Zealand to have my paintings digitised and printed on white or stainless steel using top quality high resolution scanners and printing processes to produce limited edition prints,’’ Stirnimann said today. Stirnimann who has already exhibited in Sydney, Buenos Aires, New York and Switzerland, said she had also been printing her works on aluminium. Synergy Printing from Waikane is believed to be the only company in New Zealand using a steel printing technique, capturing the high resolution scanned picture in the steel, rather than printing onto it. She said she had always wanted to produce long lasting outdoors works to brighten up and energise the landscape. The technique captures the colour in the steel so the painting is not printed onto it, but into it which makes the colours crisp and last a long time outside. The limited edition steel and aluminium prints have become affordable for people who like Stirnimann’s works but cannot pay the price of an original painting. Limited edition canvas prints are available too. The colours on steel appear crisp, sharp and strong and will last longer outside than aluminium prints . Stirnimann said she felt the aluminium prints were warmer, softer, maybe more feminine. ``I have always wanted to venture into the outdoor environment with my works but I needed to find a way of making my paintings weather-proof. These steel prints make the landscape, a public place, commercial places more alive, radiating joy, harmony, balance, inspiring people. On a grey day it is so amazing to see them outside, lifting the spirit and on a sunny day they really "show off" their beauty. They could be fascinating for landscapers to incorporate into their planning of gardens but also public places, public gardens, on house walls, on commercial properties and fences providing major impact. Several of Stirnimann’s aluminium prints currently feature in an exhibition at the Two Rivers gallery in Cheviot and she will soon have steel prints there as well. Other limited edition prints are on display as Passione in Kaikoura. Later this year Stirnimann will open an exhibition at her own studio in Kaikoura which will incorporate a number of steel prints on display outside the gallery.